Are you looking for a training that allows you to expand new horizons? In your environment, people always tell you that you are a handyman? 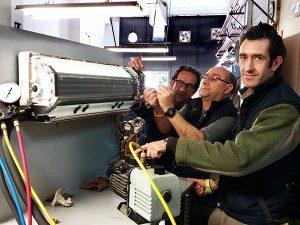 If you are an active and energetic person and you are looking for a Certificate that opens professional doors, the Air Conditioning Courses are the option you need: they will allow you to become a competent technician and expand your professional horizons. If your intention is to obtain the Thermal Installations Licence in Buildings, you can do it with the HVAC and RITE Courses. The RITE licence will give you a great competitive advantage in relation to workers who lack it. Did you know that every conditioning company must have at least one worker on the staff with such training? Why do an HVAC course?? We live in a globalised world in which the labour market is increasingly competitive. The specialisation of the sectors is a fact and, currently, being an expert in a specific task that will allow you to be considered an efficient employee. Do not doubt that your future work depends on your training. In our country, air conditioning has become a crucial area in the modernisation of construction. The demand for specialised professionals who know the current technology and know how to carry out responsible installations is increasing. Our mission is to train great professionals. Do you dare to start taking steps towards a new profession? If you are still in doubt about taking this course or focus on another type of training in Valencia … read on! 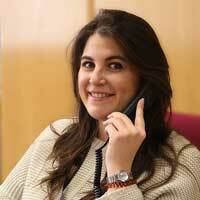 Below, we explain some of the reasons why we invite you to enrol in Instituto INTER. Surely, you will obtain a regulated training that will help you to apply for a job in private companies. Moreover, if you complete your degree obtaining the RITE Licence, you can also consider yourself working as a freelance and establish your own work rhythms. Interesting, right? Moreover, you will have access to our Official Employment Agency, we publish job offers from different sectors and we strive to ensure that our students find a job as soon as possible! We will help you to improve your curriculum vitae by offering quality training approved by the Ministry of Employment and Social Security. Courses to obtain the Fluorinated Gas Licence. Practical Course in Air Conditioning. Our main objective is to train our students to operate in projects related to construction and energy efficiency. Once you have passed our subject matter, you will be able to calculate and participate in the design of the air conditioning installations. Many of these courses are complementary: do not hesitate to ask, with no commitment, our Study Advisors will tell you which training itinerary best suits you. Together we will find the way you can start to route your professional future very soon. Every company related to technology and its applications at home or in other spaces, are booming. 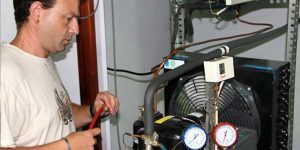 The development of air conditioning techniques has brought an increase in the need for specialisation in this area. Becoming a professional in the field of air conditioning will open many doors and make your curriculum vitae more attractive. Moreover, you can obtain your certificate in less than a year. 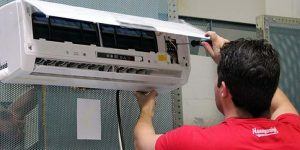 Our air conditioning courses in Valencia last 7-8 months and are designed to be taught two days a week. After your internship, you will be accredited to work on your own, or be hired by a company in the conditioning sector. If you are wondering about the requirements you must have to formalise your enrolment and start studying with us, you should not worry! You can access our HVAC Courses without any previous studies. Our Institute is a Centre approved by the Generalitat Valenciana and Servef. We have many workshops where you can learn by practicing.